The Wii U has been announced and it's coming soon, so perhaps you're considering selling your Wii to get some extra cash (you'd better think this through!). Or maybe you already did sell your Wii (I'll make you regret it! ), or worse, never had a Wii to begin with (you missed out!). In any of these cases, I hope to make it clear why it's worth it to have a Wii and continue to have one, even with the next generation of consoles fast approaching. The Wii has quite a lot of games for it. Sure, there's a lot of crappy shovelware in its library, but people tend to buy Nintendo consoles for Nintendo's first party games, and there were a lot of those too. In fact, unless you only owned a Wii and fully dedicated yourself to playing all the best games throughout this generation, I highly doubt you played all the Wii games worth playing. I can't review them all right here, so allow me to astound you with the sheer number of them. Before you move onto the next generation, don't let these games pass you by. Oh, sorry, did I forget a couple? You'll have to let me know in the comments because I'm sure I did. And that list isn't the end of what you can play on the Wii either; I could do the same thing and make a list of great GameCube games too because - guess what - unless you have the new smaller Wii model, you can play those on your Wii too. Also, while I included Wii Ware games in that list, I didn't include any of the many classic games available for Virtual Console. Yeah, I know you'll be able to play Wii games and downloaded games on the Wii U (assuming you keep your Wii long enough to transfer the downloads), but why get a whole new console when there are old, cheaper games you could still be playing? And you won't be able to play a whole generation worth of GameCube games on the Wii U. Even if somehow you've played all the games worth playing for Wii and GameCube, chances are that in 10 to 15 years you're going to want to play them again. 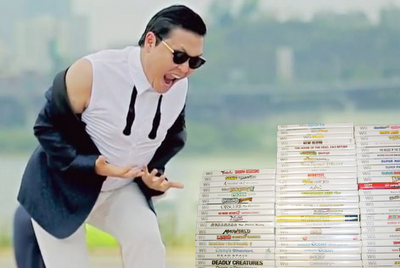 Just as NES, SNES, and N64 games are classic and nostalgic now, the games for GCN and Wii will be too. Rather than repurchasing them digitally in the future, why not just hang onto them so you can play them on their original console? But after you've installed the Homebrew Channel and possibly BootMii is when the real fun comes in. As I alluded to above, you'll be able to play Wii and GCN games from other regions. You'll also be able to watch DVDs on your Wii, run any homebrew app or game that you want, and back up your Wii games to a hard drive so you can play them without swapping out disks all the time. Those things are just nifty amusements, however, when compared with what you can do with Gecko OS and Riivolution. Gecko OS is one of the apps that will let you play imported games, but its other use is to let you play with codes. It basically gives you all the functionality of a game genie / game shark / action replay and it's free. There are tons of codes available and if you own a USB Gecko (a bit hard to come by now) and know a little about hex editing, you can even make your own codes. These codes include everything from the usual infinite health and ammo to moon jumping and modifying Samus' breast size (not that I've tried it of course). There are even codes to fix glitches (like the door that sometimes wouldn't open in Metroid Other M) or improve controls (like mapping Wii remote shaking to a button in Donkey Kong Country Returns). You don't have to use these things to cheat; you can just have fun with them or tweak the game to make it better. So you can say goodbye to low battery notifications and those irritating notifications the first time you pick up a bug or treasure in Skyward Sword. 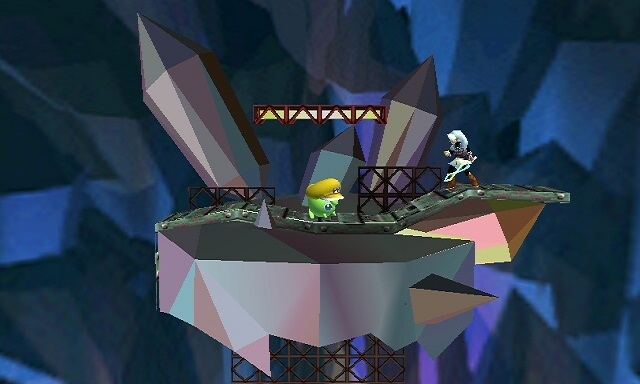 Yes, that's the Metal Mario stage from SSB64 and Fierce Deity Link. In fact, these codes ended up getting so advanced that it became possible to load files off of an SD card during the game, using that data instead of the data on the disk. For example, loading a custom texture for Wario in Super Smash Bros. Brawl to make him look like Dr. Eggman/Robotnik. Or loading whole new characters entirely, with whole new movesets. Or new levels or music. Brawl is so popular that there are entire sets of hacks that balance the characters and tweak the gameplay so it's even better than it was originally. Brawl isn't the only game with custom content; New Super Mario Bros. Wii has a full level editor available for it now and a large library of custom levels to play, some even more creative and definitely more challenging than those that came with the original game. Super Mario Galaxy 2 also has some new content in the form of new levels and new versions of old levels. For example, there's a ridiculously hard version of Grandmaster Galaxy. Then there's brand new items for Animal Crossing: City Folk which include lightsabers. There's a board editor for Fortune Street. And also custom tracks and ported old tracks for Mario Kart Wii which are even playable online with other people using the same hacks. Each of these games now have enough new content that it's like having a whole new game. Until the Wii U gets hacked, you won't be able to do any of these hacks on the Wii U, so getting rid of your Wii at this point would be getting rid of a lot of functionality that you simply won't have when playing Wii games on the Wii U. Still not convinced? Well as far as I know, the Forecast Channel, News Channel, Everybody Votes Channel, Photo Channel, and Check Mii Out Channel haven't been confirmed for Wii U. This doesn't mean they won't be available in "Wii mode" on the Wii U, but we can't know for sure. Life without those super-handy apps just isn't a life worth living. If that doesn't convince you, nothing will. (Yes, I'm being sarcastic, just for this paragraph.) At the very least, keep your Wii until you can transfer your data to the Wii U and don't get ripped off by trading it in to a game store.